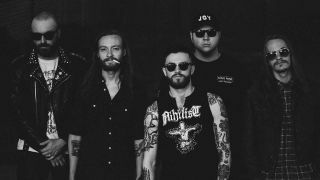 North Carolina crust punks Funeral Chic are premiering their new album Superstition with Metal Hammer. Blending black metal with ferocious punk, Funeral Chic call to mind the likes of Full Of Hell, Nails, Young And In The Way and Trap Them. When asked for some words about the new record, the band declined to comment, saying they hate critiquing their own music, and want the music to do the talking instead. Funeral Chic's new album Superstition is released November 16 via Prosthetic Records. Pre-order your copy now from Amazon.